Rising to the heavens on a powder day. Get up early for the best stuff. Getting up early for first lifts is always rewarding. If I know the conditions are going to be good then I round up anyone who is keen and organise for them to be outside at a certain time with the aim of first tracks. If they are not there when I’m going then they will probably get there when I’m gone. I let them know that I will leave on time as the Japanese do. It usually gets everyone there and fired up in anticipation for some of the best runs of their life. Hit me up if you are staying with one of the White Horse Hotels as I am always keen for an early session. 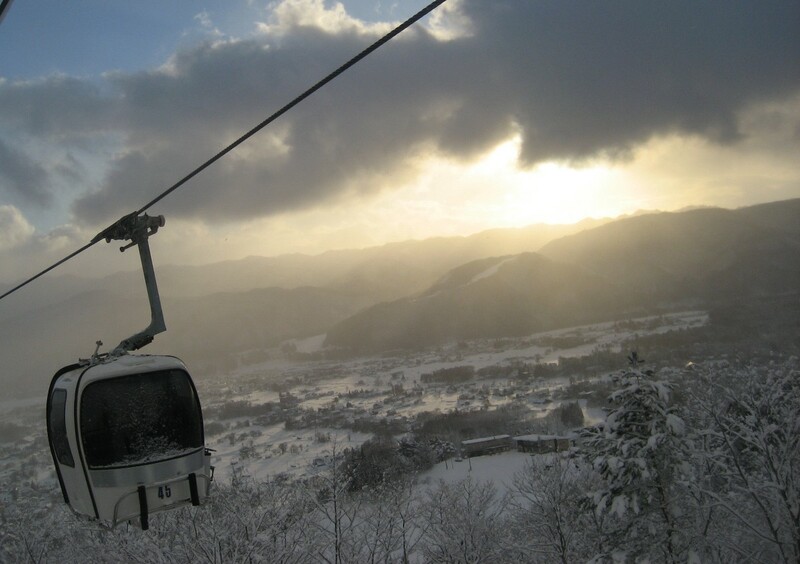 This entry was posted in Hakuba, snow and tagged first tracks in hakuba, getting first tracks in Hakuba, Hakuba Hotels, ski japan, snowboarding. Bookmark the permalink.